It wasn’t until I was doing some ironing this weekend of some of my recent finds that I noticed I may have gone a little overboard on the purchases of vintage aprons in the last few weeks! 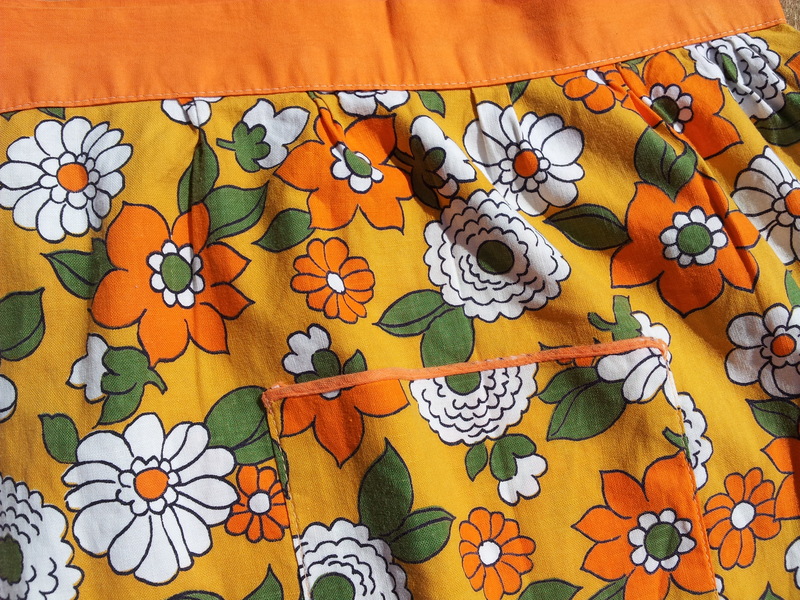 They are funny things aprons as I’m really drawn to the fabric of them and normally the brighter the better. However the idea that they are in fact for something practical isn’t really something that would ever enter my head. For anyone who knows me they will confirm I cannot cook, that’s why I married the wife (she is really good)! I think I may have cooked three times in our home of a year, two were with help and the other was beans on toast. But I do like an apron – they feel great on and somehow my inner domestic goddess wants to come out when wearing one. I find myself wanting to do some cooking or clean the house from top to bottom and be happy about doing it. The reality is far from this as once it’s on I just want to hold a tea party, go to a themed hen party or sit around and feel like I’m in the 1950s but not do any housework of any sort. It’s a sad fact but I know deep down I wouldn’t last five minutes as a 1950s housewife – I would be hopeless. I am cleaning, can’t you see? I particularly like the rose one, it’s so pretty.